PhotoPad helps create a scrapbook of your Facebook photos! Home » reviews » PhotoPad helps create a scrapbook of your Facebook photos! This post has been sponsored by PhotoPad but all opinions expressed are my own. I have been on Facebook for a few years now and really love how easy it is to share picture with family and friends by just uploading them to my Facebook profile. I have shared pictures of my pets, my kids, our vacations, and all sorts of random things that happen to us every day. But, after they get uploaded, they sort of just sit in my Facebook photo album and I don’t do anything else with them. Years worth of cute pictures just sit waiting for creativity to hit! 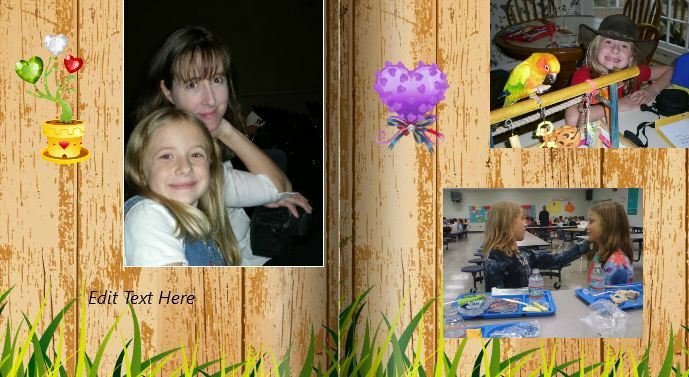 Well, now there is a great Facebook application called PhotoPad that allows people to take their Facebook photos and create unique scrapbook pages out of them! 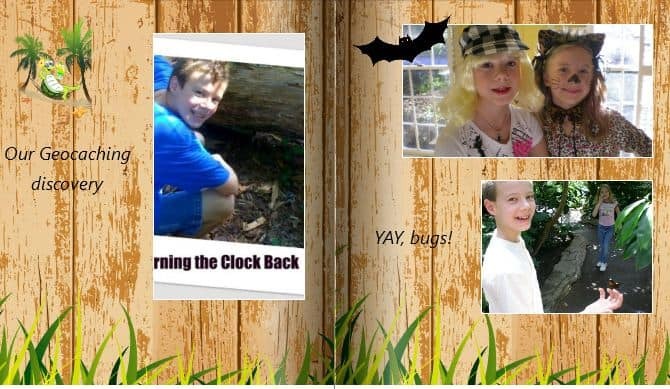 I had a lot of fun going through my photos from the past few years and creating a unique page for each kid using PhotoPad. You can do the same for your vacations or a special event like a wedding or birthday party. The app is very easy to use and there are a lot of different options in terms of themes, stickers and decorative bits and pieces that you can use to personalize your PhotoPad scrapbook. If you would like to learn more about Photopad, check them out on Facebook and try out the PhotoPad app for yourself! I like any idea that helps my photos look better. I think photo books that let you use Facebook photos are really fun!